Nikon is one of the leading manufacturers of DSLR cameras and lenses. This behemoth of a company is on par with Canon. They deliver exceptional quality and a range of cameras that hobbyists and professionals can use to great effect. If you are interested in landscape photography, we have gathered the best Nikon landscape lenses for your benefit. These lenses are top of the range. We have catered for both full-frame users, and those who have the Nikon DX models. First, let’s look at the benefits of using a specific landscape lens. What are the Benefits of Using a Landscape Lens? Landscape lenses are also generally wide-angle lenses. When taking landscape photos, the idea is to include as much detail of depth as possible. Using a portrait lens for example, or a large zoom will create a cropped landscape photo – this does not convey the scale and grandeur of the scene in front of you. A wide-angle or landscape lens can do that. A high-quality landscape lens will have an extremely wide angle frame – preferably less than 24mm. This will allow you to capture a huge amount of detail – your photos will almost look like a panorama depending on the zoom level. If you regularly shoot landscape photography, we strongly advise investing in a wide-angle lens. Consider choosing one of the best Nikon landscape lenses that we will discuss below. The Nikon DX format is a cropped sensor camera. This type of camera uses the APS-C image sensor format, at approx. 24x16mm. In terms of proportions, this results in approximately 1/3 reduction in viewing angle than a full-frame Nikon DSLR. This is perfect for macro photography and portraits, but it can be an issue for landscape photography. You effectively have less viewing area and the images are narrower. Fear not, however – a wide-angle landscape lens can solve this issue. Just bear in mind, that a wide-angle photo using a DX camera, will not be as wide as a full-frame DSLR. Out of 186 people on Amazon, the 10-24mm has a magnificent rating of 4.5 stars (on Amazon.com, 4 September 2018). Most users who were happy with the product loved the unique wide-angle photos this lens can create. They said that the range of 10-24mm was excellent and allowed for a great deal of creative license. Moreover, users have praised the quick and quiet autofocus feature. Finally, many people commented on the sharpness of the photos even towards the outer edges of the composition. In terms of negative reviews, some users commented on the softness of photos towards the higher end of aperture ratings such as at f/16 and above. The 10-24mm is certainly a specialist lens primarily for landscape shots. Although the lens has a small focal range, you are under no illusions as to the purpose. Landscape all the way! For many, the 10-24mm is the perfect secondary lens to purchase after your standard kit lens. Most people either purchase a wide-angle lens or a macro/portrait lens – we advise the landscape every time! You will be amazed at the quality of the shots – the sharpness is excellent. In most cases, you will be using an aperture of around f/9.0 – at this range, the 10-24mm takes fantastic shots that are crystal clear. 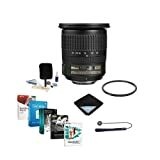 This lens has a fantastic rating of 4.5 stars on Amazon with over 220 reviews (on Amazon, 4 September 2018). 80% of reviews are actually 5 star which is really promising. Most users commented on the fact that this lens provides a great focal range. They liked how you could take both wide-angle and close-up shots with the 18-140mm range. Furthermore, users also mentioned the auto-focus capabilities and the quality of the metal mounting system. Negative comments generally centered on defective pre-owned models. As far as we can see, there was no glaring issue that customers reported. If you are looking for a general purpose range than can fill both landscape and other photos – the 18-140mm is a perfect choice. You can benefit from the superb wide-angle 18mm framing – this creates some amazing panoramic shots. Alternatively, if you want something closer or a different type of photo, simply use the zoom up to a maximum of 140mm. For the price tag, this lens offers great value for money. Furthermore, the sharpness and color are high quality. Finally, the actual build quality is spot on – the materials used are robust and much more durable than some of the plastic based lenses. As with the other official Nikon DX lenses, the 16-80mm also has a fantastic rating of 4+ stars. This is slightly lower than the other two models but still respectable. Many customers have commented on the quality of the low-light shots and the sharpness of the images. Additionally, users simply love the light weight of the lens and the comfort and ease of use of the mechanisms. Generally, the negative comments surrounded the small aperture range of f2.8 to f/4.0 which many considered to be lacking specifically for landscape photography. Some people may not realize that this lens can actually be used as a landscape lens. It has a relatively small aperture range from f/2.8 to 4. Generally, landscape shots are taken in a smaller aperture so that the plane of focus is larger. A typical landscape aperture, for example, maybe f/9.0 or higher. This lens is perfectly capable of taking amazing landscape shots, however. Yes, the photos may not be as sharp at the outer edges, but the quality is certainly there. As with the other Nikon DX lenses, the 16-80mm is extremely well built and features the usual SWM technology and vibration reduction. Now that we have looked at DX lenses, we can drool over the full-frame equivalents. The main thing to consider is that full-frame lenses are generally much more expensive. Furthermore, full-frame prime lenses are some of the most expensive around. Most customers comment on the exceptional sharpness of the photos and the compact nature of the lens – by all accounts, it is easy to carry. Moreover, users comment on the noticeable lack of distortion and the high color quality. The main negative comments were centered around the price of the lens – some felt it was too expensive. We certainly can’t complain about the quality of this lens. The sharpness of photos even in low light is magnificent. If you want a high-quality ultra-wide angle lens then the 20mm Prime is definitely a top contender. The 20mm fixed range allows you to create some interesting shots – you can pack so much detail into your photos. After looking at some other reviews and taking into consideration the sample photos we have viewed, the 20mm Prime creates some of the sharpest compositions we have ever seen. Moreover, this lens is robust and short of the AF-S motor dying, you should never experience any problems. 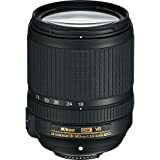 As with the 20mm Prime, the Nikon 16-35mm lens has an average Amazon rating of 4.5 stars. Most users actually compared this lens to the 14-24mm and commented on its lighter frame and build. For landscape photography, users praised the sharpness and range of the lens. Furthermore, many stated that when mounted on a tripod, the photo quality was unbelievable. 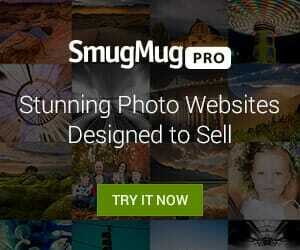 Moreover, several users praised the lack of vignette or smoothness towards the outer areas of the photos. Some negative comments stated that to use the lens to its full potential, filters are required. This lens is actually one of the first of its kind to offer vibration reduction technology with ultra wide angle technology. When using the lens you can barely hear any noise or disturbance at all – it really is a joy to use. Moreover, the lens has been sealed and can withstand tough weather conditions – don’t be afraid to take this bad boy outside! The durability of the 16-35mm really is excellent – you can tell that this lens was meant for the great outdoors. Finally, the autofocus of the lens is marvelous – the speeds are brilliant, and the focus is accurate too. 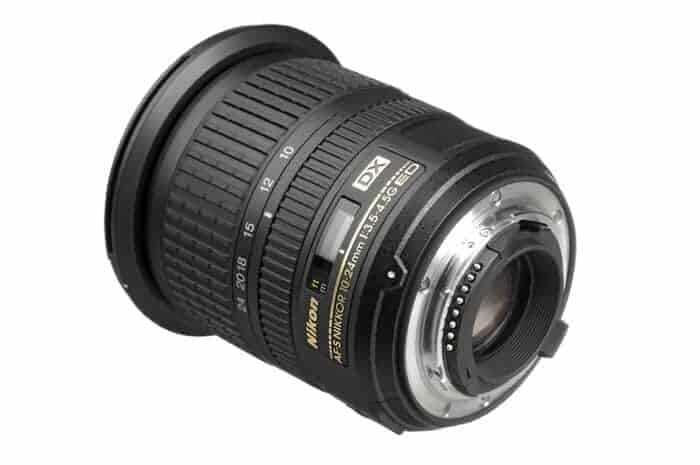 This high-end Nikon lens is one of the best Nikon landscape lenses available. The Amazon average star rating is 4.5 with 86% of reviews coming in at 5 stars (as on 4 September 2018, see all reviews on Amazon). Practically everyone who rated the lens highly was blown away by the quality of the landscape photos. The sharpness and compositions by all accounts are magnificent. Moreover, users also loved the super fast autofocus speed, and the accuracy of the focus too. Many users commented on the bulky size of the lens and the weight – but they also said that this was a minor inconvenience due to the photo quality. Despite being quite an old lens, the 24-70mm remains hugely popular among Nikon photographers. For many, this lens appears to be their main workhorse. It can fill a variety of different roles and is superb for landscape photography. We found the range of 24-70mm fantastic. At 24mm, we could take brilliant sweeping wide-angle landscape shots. But at 70mm we still had flexibility and could zoom in on some landscape details further. Generally, the optics and build of the lens are fantastic – it is well made and built to last. Moreover, the contrast and quality of the photos this lens produces are amazing. This is one of the best rated Nikon landscape lenses we found on Amazon. The average rating is 4.5 out of 228 current reviews on Amazon (as on 4 September 2018). Many people stated that the 24-120mm was a strong alternative to the 24-70mm and provided greater flexibility. They noted that sometimes the max 70mm zoom of the 24-70mm as sometimes limiting, and the 24-120mm just gave that little bit extra. Generally, users love the quality of the photos and the quality of the lens itself. We had to agree with the Amazon customers – if you want more versatility in your photography, the 24-120mm is a great choice. This lens really performs well, especially with landscape photos. Due to the zoom range, you can take a myriad of different landscape styles. The autofocus and accuracy are excellent, and the manual focus ring is also easy to use. The lens does have a little distortion, but this can be fixed afterward in post-processing software. We hope you have found this guide to the best Nikon landscape lenses useful. Landscape photograph really is magical. Imagine heading out to the Wadi Rum desert in Jordan. You take out your camera and use your Nikon 16-35mm zoom lens. The sun is setting on the sands and you capture the perfect golden desert shot in glorious wide-angle. Alternatively, imagine climbing to the top of the Rockefeller building in New York City. You walk out onto the observation deck – the whole of Manhattan Island is sprawled out before you. 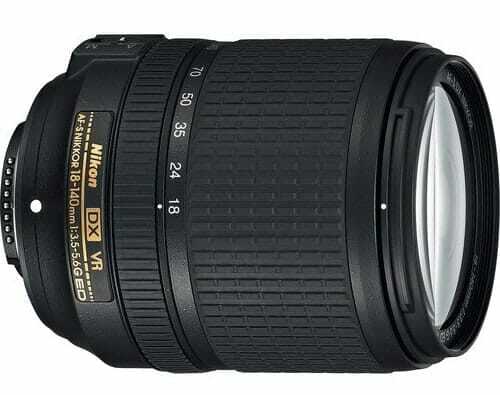 Again you have your trusty Nikon AF-S DX 18-140mm landscape lens ready. You manage to capture from Brooklyn Bridge, through to the Statue of Liberty, and everything in-between – perfect. The possibilities are endless with a high-quality landscape lens from Nikon – what are you waiting for? Why not add one of these specialist lenses to your photography arsenal today? Hi, I just wanted to point out a mistake on the review for #3 (the 16-80mm Nikkor lens). The article states that the aperture is limited to f/2.8 to f/4. That’s not true; that is the range of *maximum* aperture available (f/2.8 at 16mm, f/4 at 80mm). The lens can actually be stopped down to f/22, which is more than sufficient for most landscape photography. The minimum aperture of f/22 is listed not only in the manual, but also on the technical detail on the Amazon page for the lens. Yes, f/22 is a nice to have for landscape photography.